The Jockey Club Postgraduate Halls 2 & 3, at the Chinese University of Hong Kong, designed by Andrew Lee King Fun & Associates Architects Ltd., has been awarded Finalist of the ‘Green Building Award 2014’ and rated ‘Provisional Platinum’ under the BEAM Plus New Buildings [V.1.2] assessment by the Hong Kong Green Building Council. The Halls will provide 676 bed places for CUHK postgraduate students in the northern side of the campus. They will increase the total number of postgraduate residential places to 1,776 so as to cater the growing student population in CUHK. Facing the beautiful Tolo Harbour, the Halls comprise two 12-storey hostel blocks with green and sustainable features (e.g. green roofs, sky gardens, various energy-efficient features and renewable energy technologies) that will encourage students to appreciate the natural surroundings and enjoy the communal life on campus. 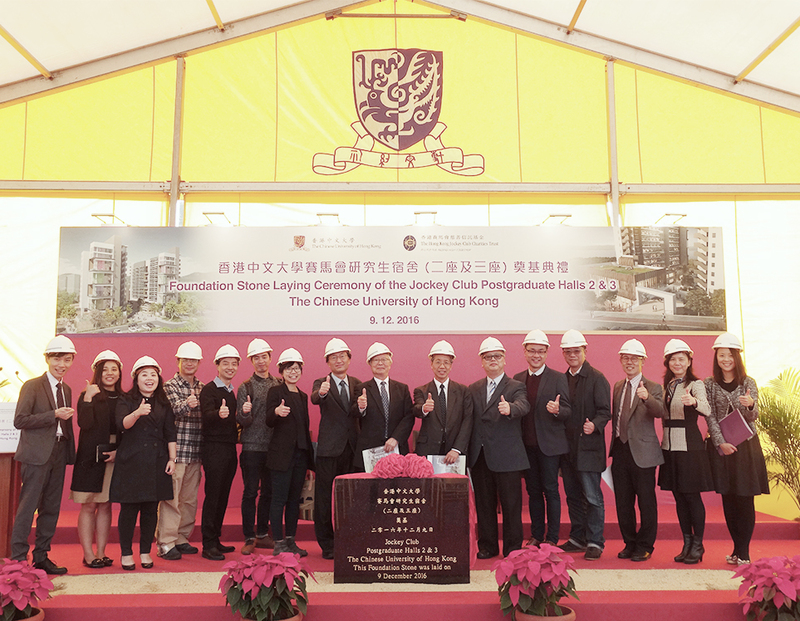 The Hong Kong Jockey Club Charities Trust has pledged a donation HK$137.44 million to support of the construction of the Halls, which is a project the will enrich students’ learning experience and foster communication among students of diverse backgrounds.